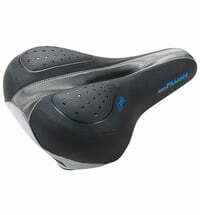 Velo Enterprise began with one woman’s vision to create perfect saddles for all types of demanding cyclists. In 1979, Stella Yu founded Velo Enterprise Co., Ltd. with the aim of meeting the individual needs of every cyclist. Velo now looks back on over 30 years of consistent development and learning from this experience. The company is proud to be among the leading designers and manufacturers of high-quality saddles, grips and handlebar tapes. Driven by a constant pursuit of success, Velo uses its expertise to tailor all of its products to different types of cyclists, including recreational bikers, cycling enthusiasts and for professional BMX or mountain bike needs as well. Velo owns and operates two manufacturing facilities in Taiwan and another two in China supplying high-quality saddles and accessories to clients the world over. The research and development team work to stay ahead of the technology curve and to develop new trends, elevating the sport to higher levels. Velo currently holds 17 patents and its engineers are intensely focused on building on these achievements. Despite the company’s extraordinary achievements in the OEM sector, Yu has strong ambitions for conquering new markets. Velo’s accessories range is also known for setting industry standards. With visionary ideas and innovative technologies, Velo continues to live up to its reputation and is determined to make a lasting impact in the cycling world, one saddle at a time.